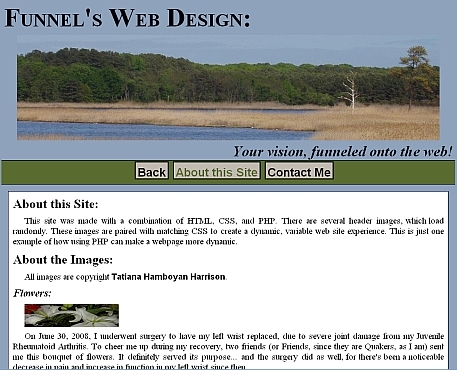 This is an example of how using php can make a website more dynamic. Each header image on this site is paired with matching color themes. Each time the page loads, the header and the color theme randomly load.